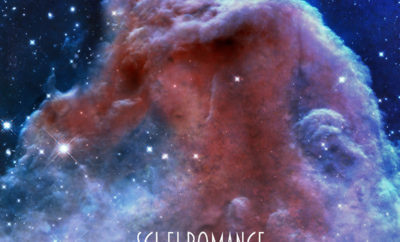 Sci-Fi Romance frontman and singer/songwriter Vance Kotrla is taking his band places! The Los Angeles based alt-folk/Americana band made its debut back in 2010 with their first LP …and surrender my body to the flames, which was performed entirely by multi-instrumentalist Kotrla. Although the release was rather quiet, the album still made a number of the year’s Top 10 lists, just like the band’s following concept LP, The Ghost of John Henry, did in 2012. The band then released an EP in 2014 titled October that gathered a collection of songs inspired by classic horror movies and received some positive vibes. Following that, the band went on a hiatus to focus on family and especially on the arrival a few babies, including Kotrla’s twins. But as we reach the end of 2015, is the band ready to make its way back to the scene? It sure seems like it! 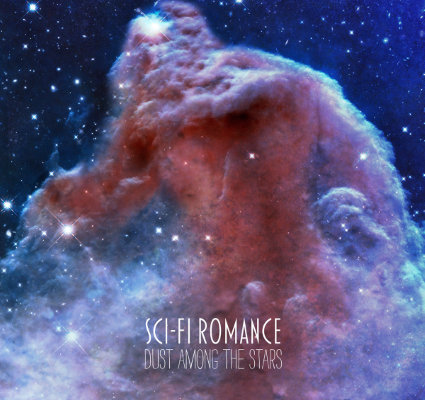 Stronger than ever with their blend of folk and punk musical influences, Vance Kotrla, Jody Stark (cello) and Mr. Mike (drums) are getting ready to release their newest effort Dust Among The Stars! We got a first listen to the album which is set for a January 2016 release and which was recorded by Tim Moore at York Recording ( Foo Fighters, Elvis Costello, Cypress Hill), and we can tell you one thing: you are going to LOVE it! The album embraces and showcases the folk tradition that Sci-Fi Romance has been sticking with all these years in the best way possible all the while playing with the genre lines thanks to newer arrangements. Finding inspiration in just about everything, from his personal life to event photos (“Pale Blue Dot” was inspired by a photo of Earth taken by Voyager I before it left the solar system), Kotrla is able to share his emotions in a way only few artists are able to nowadays. Featuring a wide variety of the band’s influences, Dust Among The Stars will take you places you’ve never been before. And while we wait for this new album, let me leave you to fall in love with “Shakespeare’s Lovers”, a track from the album that features vocals from award-winning opera singer Kristin Vogel. Dust Among The Stars is set to be released on January 26, 2016 through Broken Image Entertainment. ← Previous Story Lights Interview! Talk New Music, Stanley Her Cat, and More! Next Story → Troye Sivan Performs “Youth” on The Tonight Show! Steven Tyler Goes Country and Signs To Big Machine!